Miami, FL – Old Heidelberg Deli (www.oldheidelbergdeli.com), a traditional German deli that has served South Florida for over 15 years, announces the launch of its brand new line of gourmet homemade sausage carts. SausageMeister offers customers a variety of Old Heidelberg Deli’s German and European classics on-the-go, at locations and events throughout South Florida. SausageMeister carts will feature fresh, homemade, gourmet sausages, sandwiches, schnitzels, and more. All high-quality products, including the freshly baked breads, are produced at the Ft. Lauderdale deli production facility. SausageMeister carts will be found at local pop-up locations, community events and private catering functions. “I am absolutely thrilled to launch a brand new line of gourmet sausage carts. With SausageMeister, we are now able to share our German and European classics with the community in a broader way, offering high-quality products they won’t be able to get anywhere else,” said Mark A. Kuehl, Owner and Managing Director of Old Heidelberg Deli and SausageMeister. 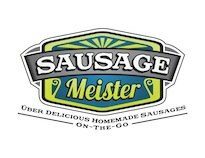 To book SausageMeister for an upcoming catering event or to find out where the carts will be located, call 954-463-3880, or visit SausageMeister’s Facebook page, https://www.facebook.com/SausageMeister. Like the page to get our updates.